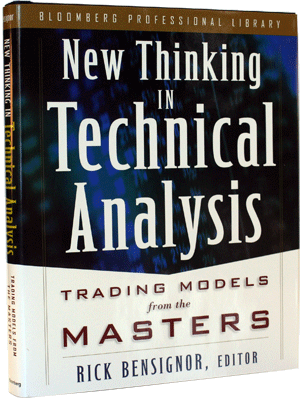 In New Thinking in Technical Analysis: Trading Models from the Masters, a dozen top authorities reveal their techniques and strategies for successful trading. This book offers market participants a treasury of tools to improve their investment performance, each from a unique and time-tested perspective. Readers will find immense value in the straightforward, user-friendly, application-rich presentation of market dynamics forecasting in this invaluable guide. Enhanced with more than 170 charts and illustrations, New Thinking will become the primary companion of every trader seeking to gain a competitive edge.